Hayes transferred from Riverside Junior College and received first-team All-Pacific Coast Athletic Association honors as part of the San Diego State team that went 11-0 in 1969. He was chosen by the Cincinnati Bengals in the fourth round of the 1970 NFL draft but failed to make the club. He also failed to catch on with the Rams in ’71 and his only NFL experience came with the New Orleans Saints in 1972, where he was a backup and had no interceptions. 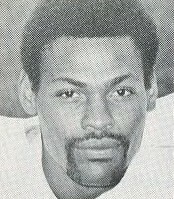 Hayes signed with the Florida Blazers of the WFL in 1974 and moved into the starting lineup, intercepting six passes. His contract was purchased by the new San Antonio club, which was the successor franchise to the Blazers. Wings went 7-6 and were second in the WFL Western Division when the league folded. They led the league in interceptions (27). The demise of the WFL effectively marked the end of Hayes’ career. In his two WFL seasons, which were his most significant as a pro, he intercepted 12 passes that he returned for 220 yards.